For AkzoNobel, the project concerns the re-use of the by-product hydrochloric acid to generate valuable compounds, thereby aiming to close the raw material loop, to reduce the carbon footprint and to support the circular economy approach. To be able to do this in an economically viable process, new chemistry and catalysts will need to be developed. PhD candidate at the Inorganic Chemistry and Catalysis group, Debye Institute for Nanomaterials Science, Utrecht University, under supervision of Prof. Dr. Ir. B.M. 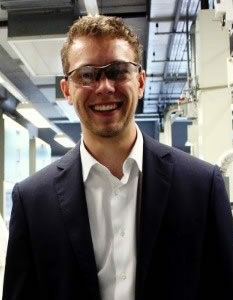 Weckhuysen within the Advanced Research Centre for Chemical Building Blocks Consortium (ARC CBBC). Project title: The re-use of the by-product hydrochloric acid to generate valuable compounds. Master’s degree Chemical Engineering with a specialization in Molecular Systems & Materials Chemistry at the Technical University of Eindhoven (TU/e). Master thesis on the synthesis of new catalysts for the hydrogenation of CO2 in the group of Prof. Dr. Ir. E.J.M. Hensen under supervision of Dr. E.A. Pidko. Three months internship at the Institute of Chemistry and Engineering Sciences (ICES) in Singapore under the supervision of Prof. Dr. A. Borgna. The project title was unraveling the Fe effect on Ir-Fe bimetallic catalysts during ethanol steam reforming. Bachelor’s degree Chemical Engineering at the Technical University of Eindhoven (TU/e). Bachelor thesis on cobalt hydroxide carbonate (nano) particles formation and growth during precipitation deposition process at ambient temperature in the group of Prof. Dr. N.A.J.M. Sommerdijk.